May I compliment you on your blouse; it complements your eye color. 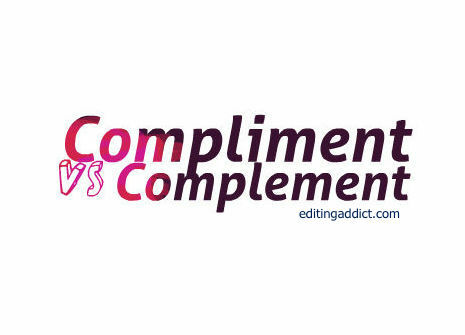 “Complement with an e…meaning “something that completes.” If something complements something else, it completes it, enhances it, or makes it perfect. This has never made sense to me. I can see how a blouse flatters (compliments) a person’s eye color, but a blouse does not complete (complement) a person’s eye color. Unless forced to do otherwise by an employer, I insist the iota version of this homonym is correct when referring to an item that enhances or lauds something else. Hense, “The mulberry tree in the front yard complemented the home’s suburban image,” and, “The new hairstyle complimented his masculine features,” are both correct. Well, if by “employer” you mean the publishing world, then consider your hand forced 😉 but in the private sector, people misuse words and phrases all the time—and no one objects.